The Sentinel Ground Source Frost Check Test Kit is for installation validation checks and is available at PlumbNation Plumbing Supplies. The FrostCheck Kit is specifically designed for use during both installation and maintenance of Ground Source or Air Source Heat Pump Systems using glycol-based heat transfer (thermal) fluid. 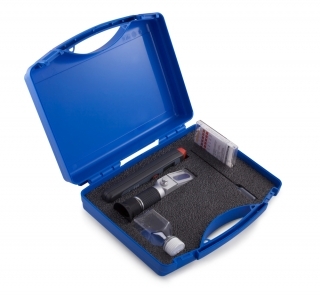 After installation the test kit will allow you to confirm the level of anti-freeze present in the thermal fluid. 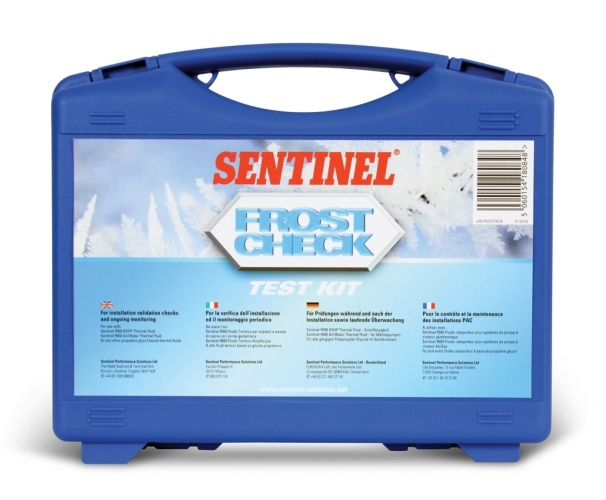 During routine service visits it is important to continue to monitor the condition of the antifreeze/thermal fluid for degradation.